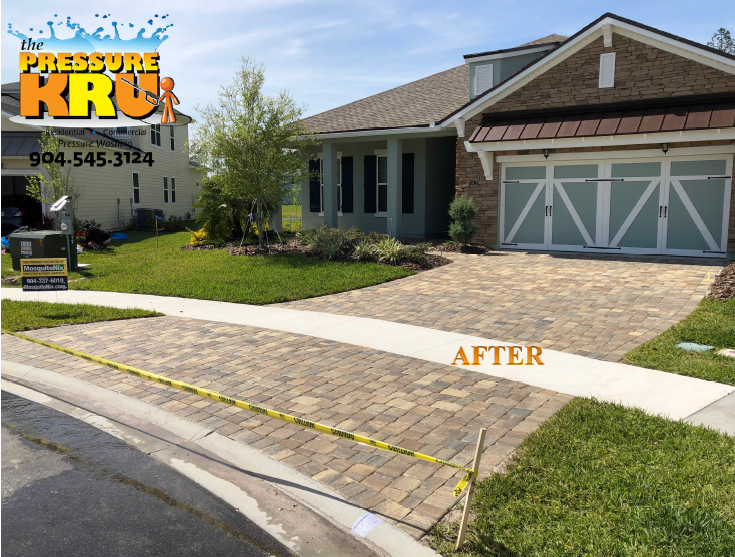 The Florida sun and rain can destroy your pavers. 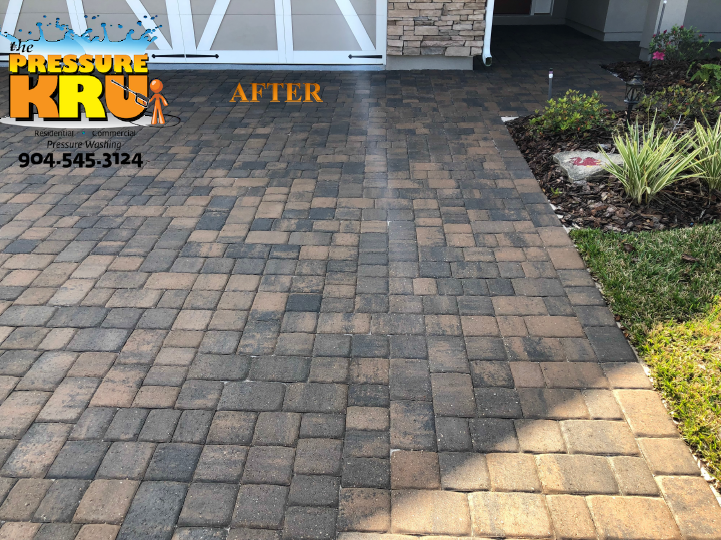 Having your pavers professionally cleaned and sealed will help to prevent fading, staining, chipping, cracking, and discoloration. 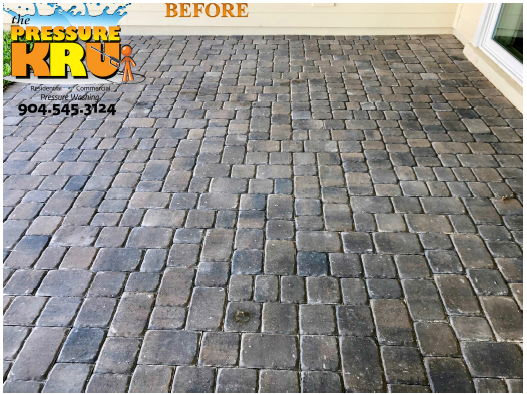 Paver sealing is the best way to protect your driveway, patio, pool deck or walkway. 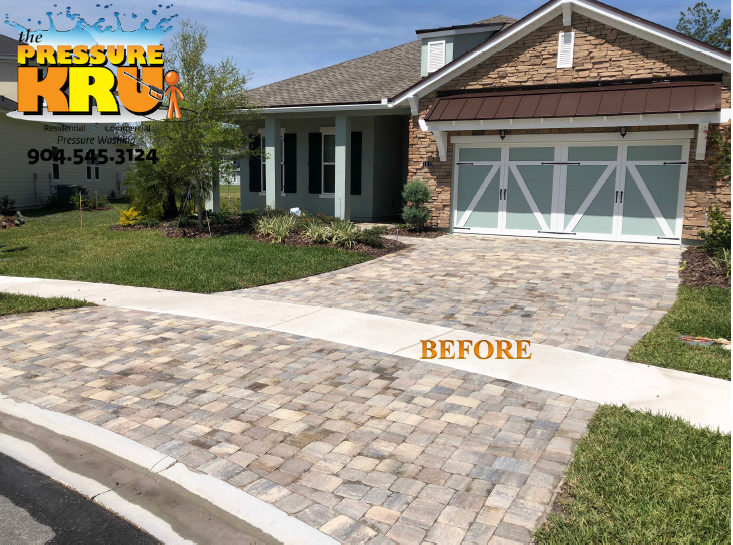 Most pavers have a thin face mix that covers the top of the stone. This face mix wears down from exposure to the elements such as sun, rain erosion and tire friction. 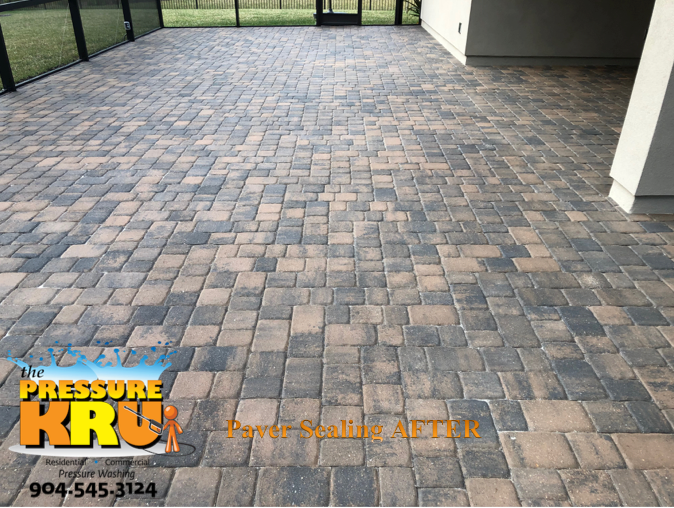 As a result Paver sealing increases the longevity of your pavers and allows for their natural luster to shine. 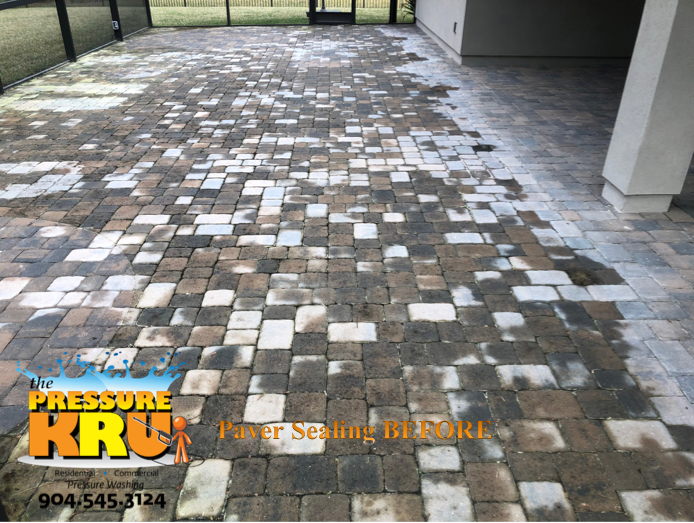 Sealing pavers provides a hard transparent coating over the surface of the paver stone. Therefore the sealing process helps to minimize staining, weed growth, and ant mines that tend to take over the joints. If you have pavers get them sealed. Myth 1: All sealers are the same. Contrary to the belief not all sealers are the same. There are water based and oil based sealers. Since we live in Florida with a lot of moisture not including a high water table. We want the moisture to breath thru the sealer to prevent problems. Myth 2: All paver joint sand is the same. Incorrect we prefer using silica sand which has no nutrients, it course, it’s a base sand. We have found that play sand can turn GREEN in color which can become a nightmare. Myth 3: All pavers are the same. No not all pavers are the same. 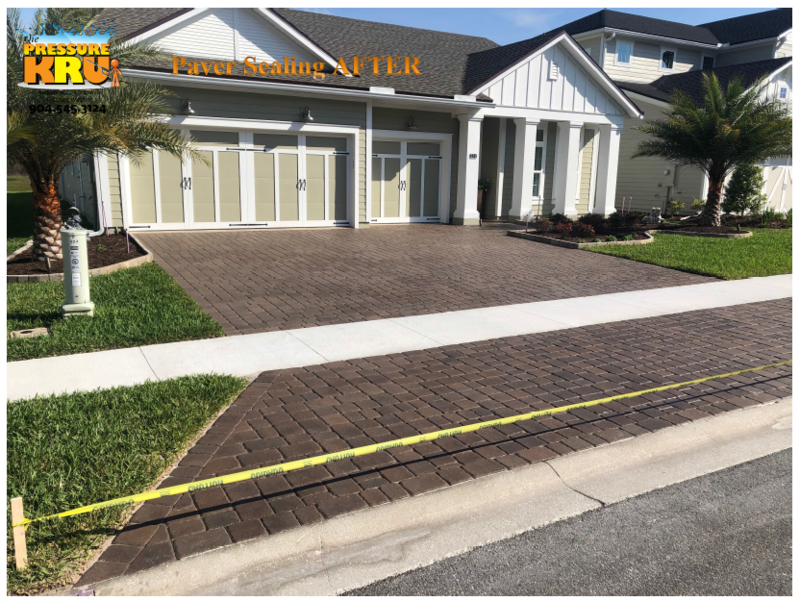 Pavers have different porosity rates. There are even different qualities of pavers. 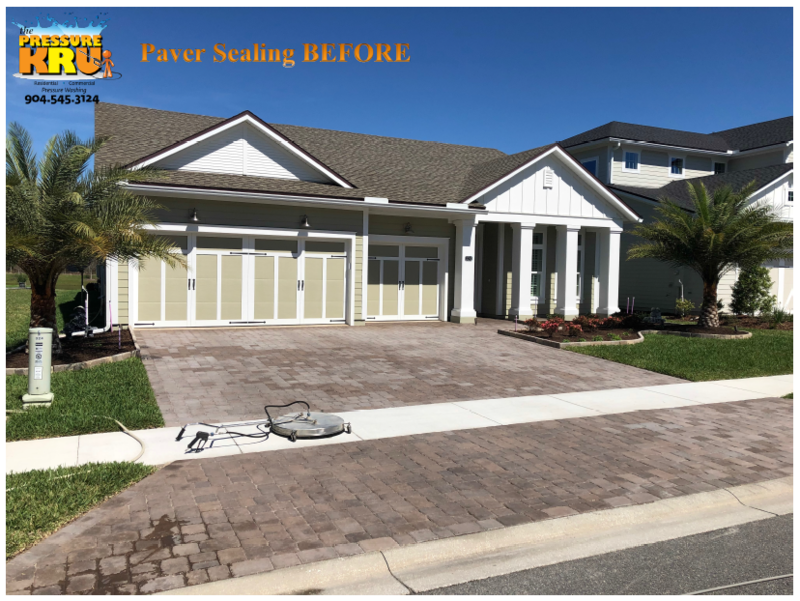 Myth 4: Paver sealing is a permanent solution. Sealing Pavers requires maintenance. 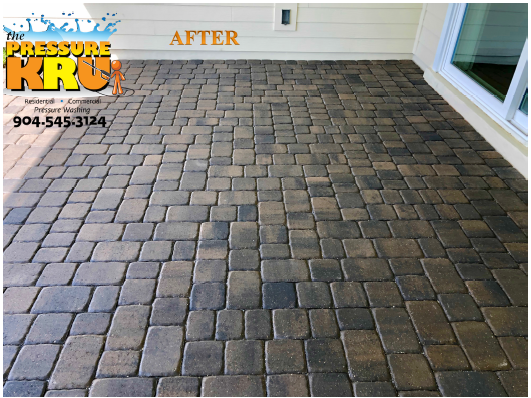 Just like waxing your car paver sealing requires maintenance coats to be applied every two to three years. Myth 5: Sealing Prevents mold and weeds. NO. Sealing does not prevent mold and weeds. 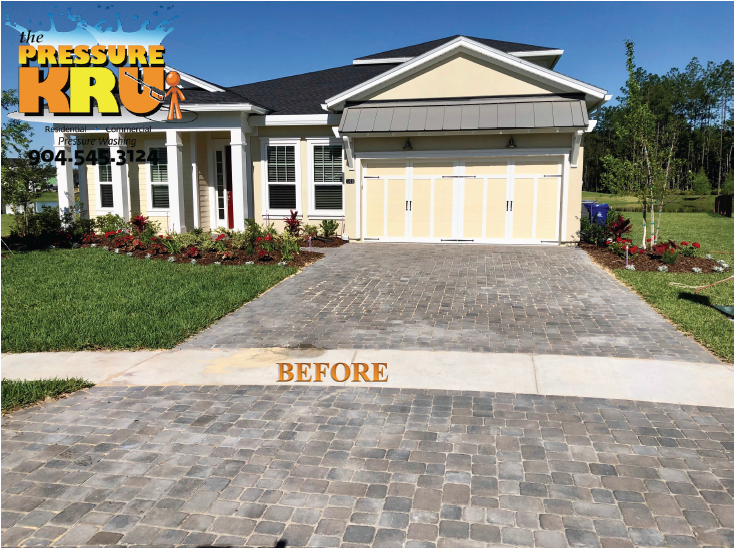 At best with the right sand it will slow down and inhibit the growth of mold and weeds, but it will never prevent it, nothing ever will and no amount of sealer will be able to prevent mold and weed growth. ▸ My Pavers Look Awesome! Now What? 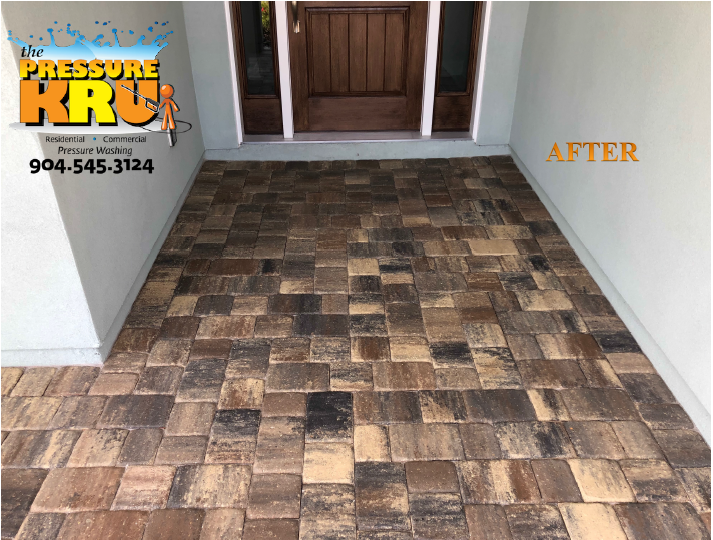 Now that your pavers or decorative concrete have been sealed, they look great! What can I do now to make sure they continue to look their best? Well, it's no secret that everything looks better and lasts longer with proper care and maintenance, so here is what you need to do. Blow off dirt, dust, leaves, and grass clippings at least once per week. 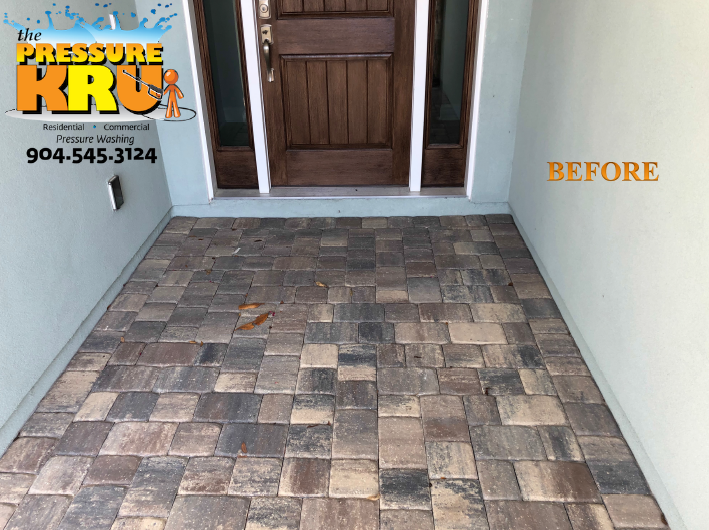 Now that your pavers are sealed you won't believe how much easier this task will be. occasion. 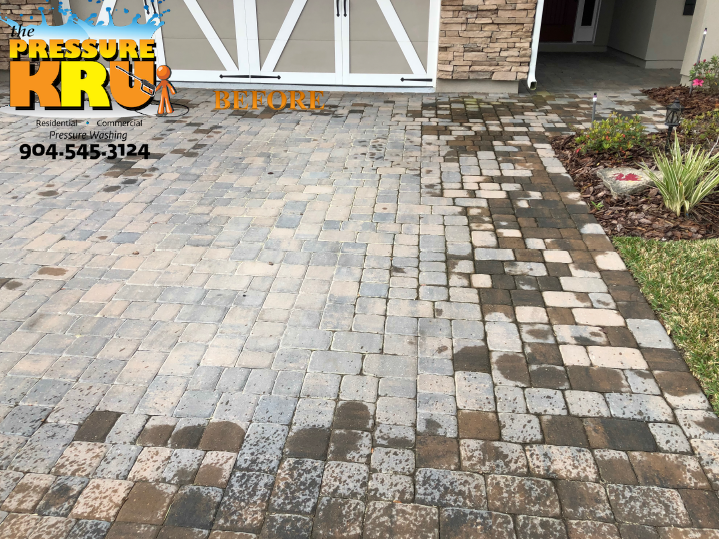 We recommend a using a "fan" or "shower'' pattern, and avoid using higher pressure "jet" patterns as this may loosen the joint sand between your pavers. If the debris is left to accumulate, it can create an environment for organic growth, so you are going to want to keep an eye on them throughout the year. protective clothing, gloves, and eye protection. 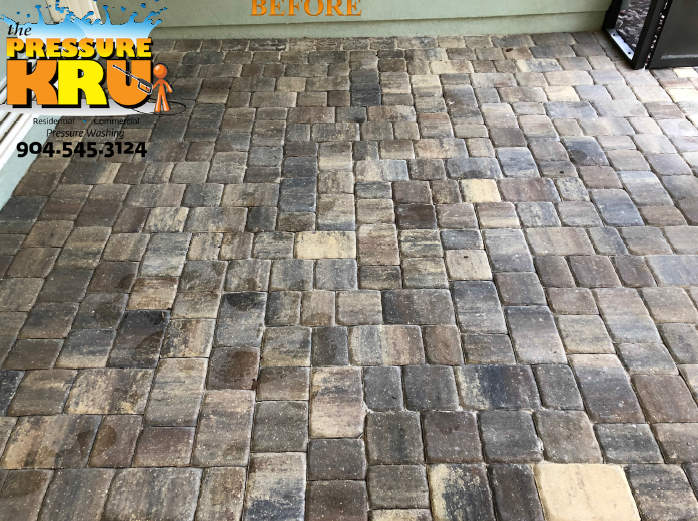 Let it sit on the surface for 5-10 minutes, and then rinse off thoroughly with low pressure from a garden hose to not leave any chlorine residue on the surface. 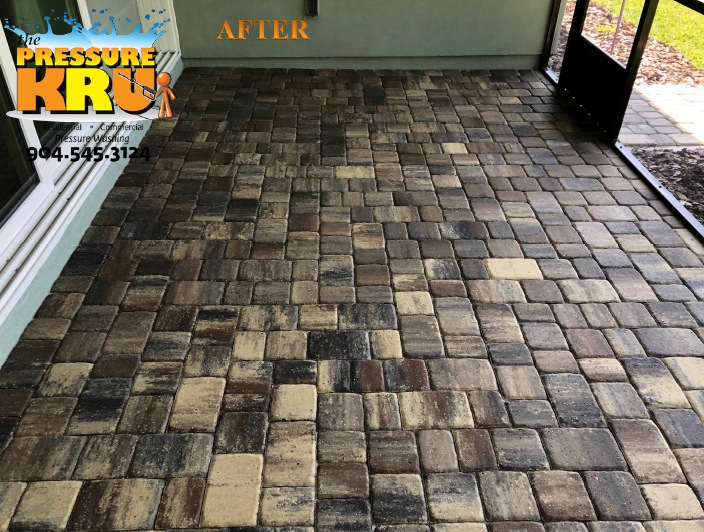 NEVER USE MURIATIC or SULFURIC ACID as this could damage the sealer and surface. Multiple applications may be required depending on the severity or you can increase liquid chlorine mixture and decrease water. 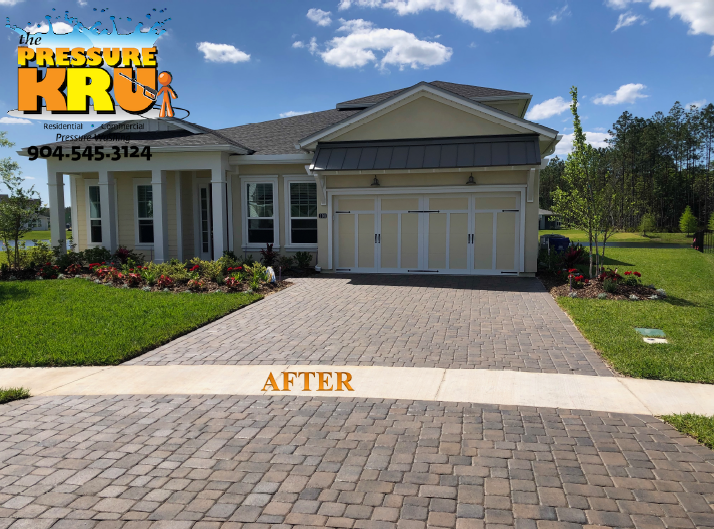 Typically, our clients experience 90% reduction in weed growth, however, every situation is different and some things such as weed growth is beyond our control and as such, weeds are not covered. If you do see weeds, you're going to want to treat them as soon as possible as they can spread quickly. roof. If you notice some sand settling or washing out, it is really nothing to worry about. However, if it progresses, we recommend using a coarse angular sand such as "pool filter sand" which can be bought at Home Depot. Spread a small amount on the area and sweep into joints. Sweep or shop vac off the excess sand.